Go, Ali! A real slammer, full of inspiration. Ali must stand up against a bully who is also a champ boxer. Get in the mood for the gym. If there’s one word for Alan Gibbons, it’s hard-hitting. And he’s about to knock you to the floor. This quick read has more power than an Olympic uppercut. Chas is a bully – and a successful boxer. He’s been picking on Ali for ages. And now he’s stolen his bike. Ali can’t let it go: he has to fight back. 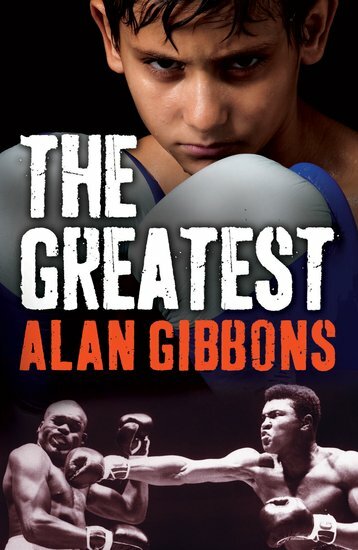 So he turns to Muhammad Ali for inspiration – the greatest boxer of all time. HL490L Lexiles are the global standard in reading assessment. They are unique as they are able to measure a child and a book on the same scale – ensuring the right book gets to the right child at the right time.